Superdry women’s Model microfibre faux fur jacket. 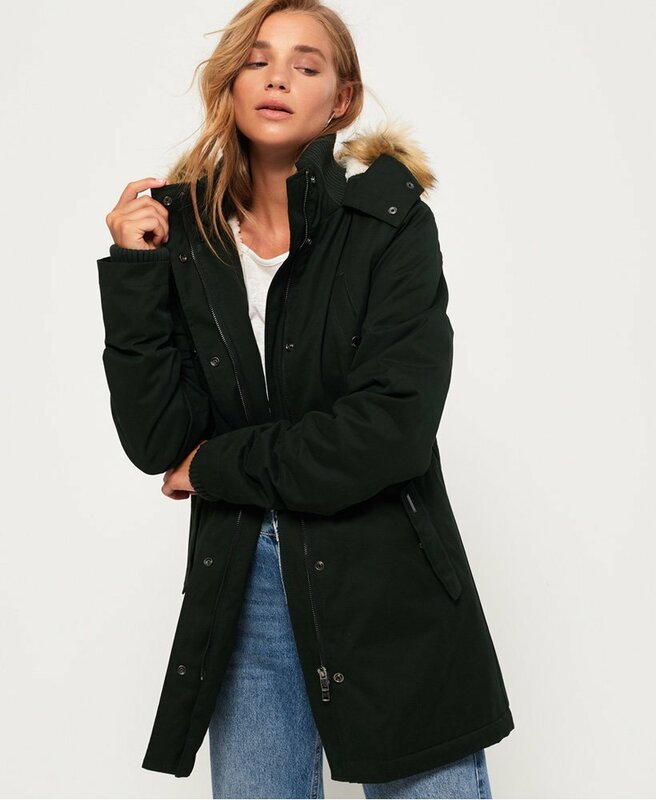 This longer length jacket features a fleece lined hood with a detachable faux fur trim, a ribbed inner collar and a part fleece lining. This jacket also has ribbed cuffs, a bungee cord waistband, four front popper fastened pockets and a zip and popper front fastening. The jacket is finished with a metal Superdry logo badge on one pocket and a rubber Superdry International logo badge on one sleeve.